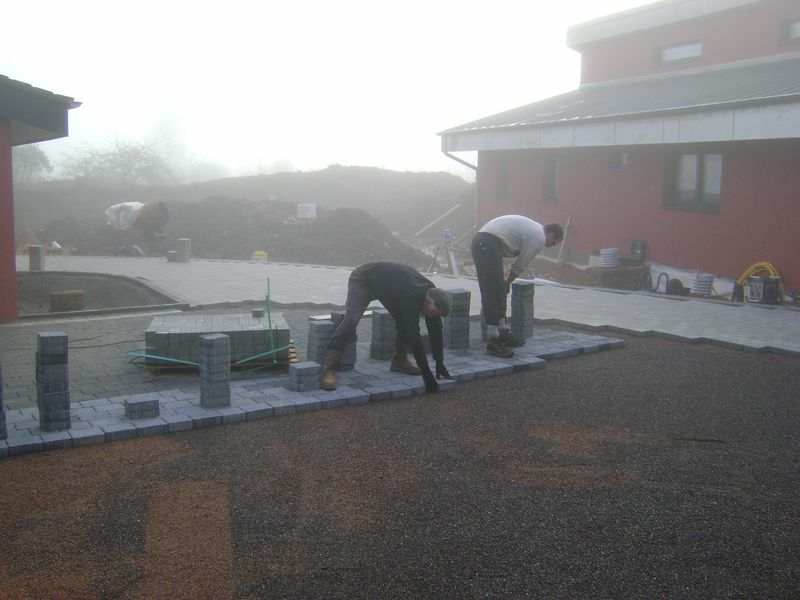 We undertake Permeable block paving, hard landscaping, soft landscaping, driveways, patios, pathways, gardens, using Tobermore products in Exeter Devon. 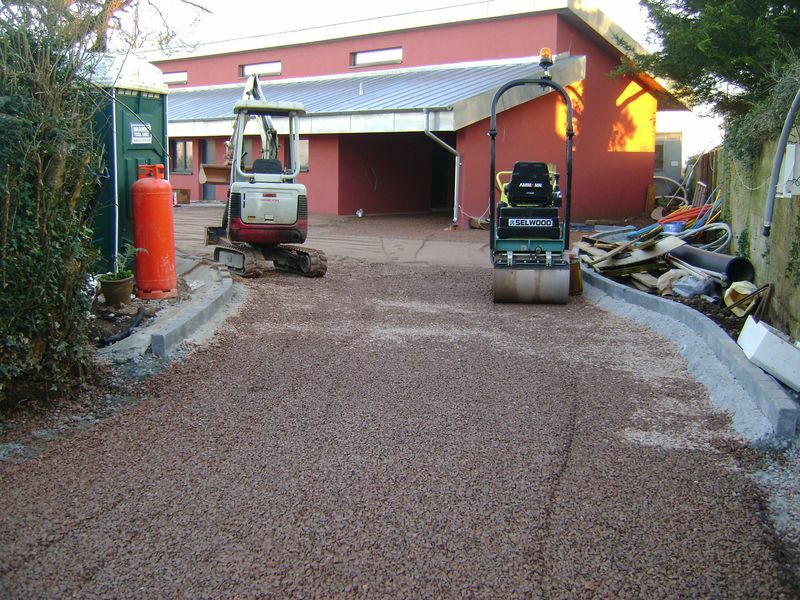 THIS PROJECT IS UNDER PERMEABLE DRIVEWAY CONSTRUCTION, CLICK HERE TO VIEW DAY 7-9 IMAGES. 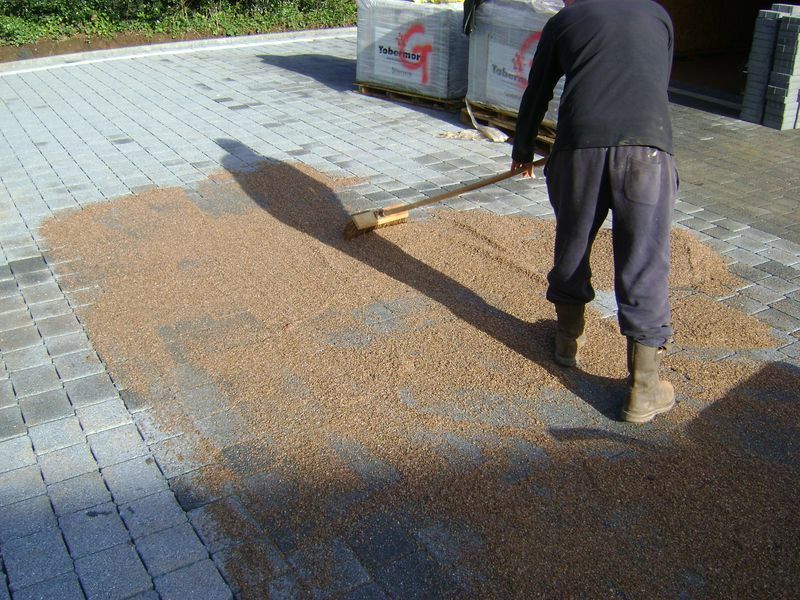 The 3mm clean stone infill id brushed into the joints of the permeable driveway block paving units and a wacker passed over the top to vibrate the stone tight and iron out any minor high spots. 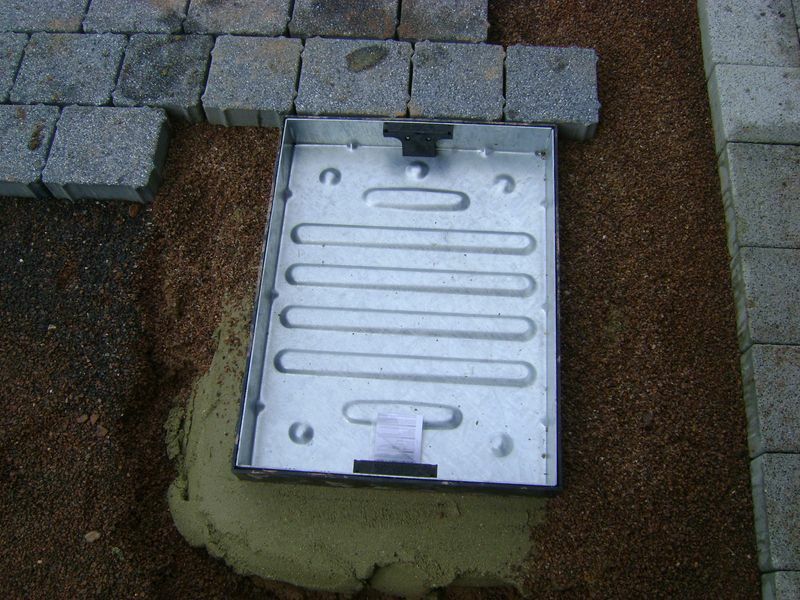 One of two recessed paving trays is installed to the correct heights and levels, the tray is squared off to suit the laying pattern. 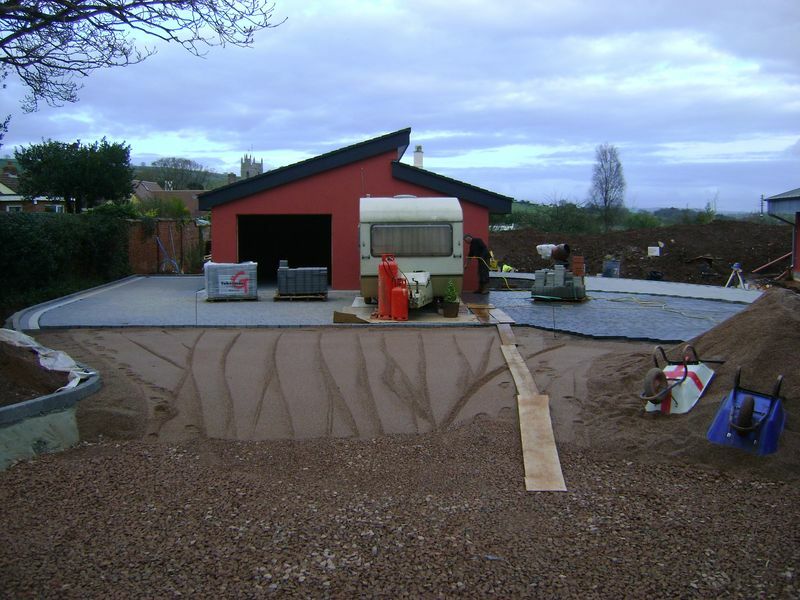 This is a first, I’ve never experienced any onsite squatter parking a caravan on my unfinished works, I’m afraid this eye sore will be in most of my images from here on. 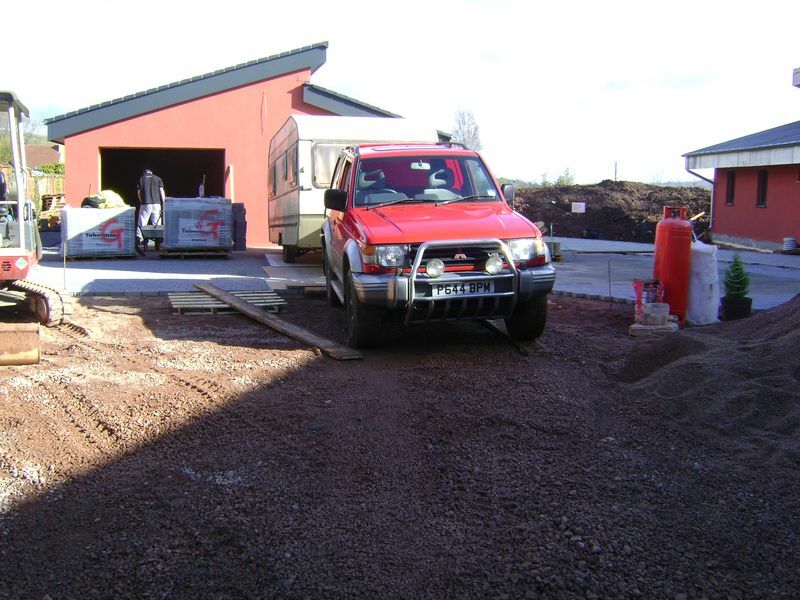 I will ask the client that I return once the project has finished and they have moved in. 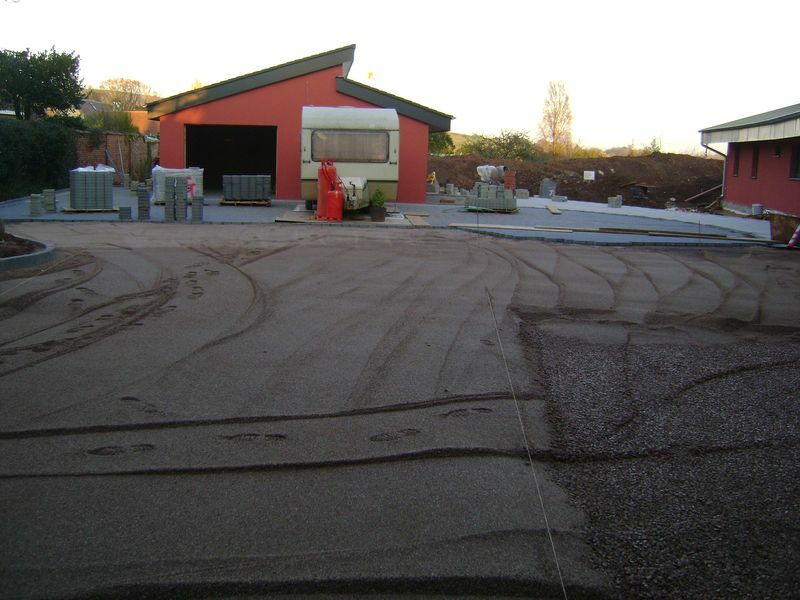 The entire permeable block paving surface is washed to remove the pink dust from the 3mm infill grit. 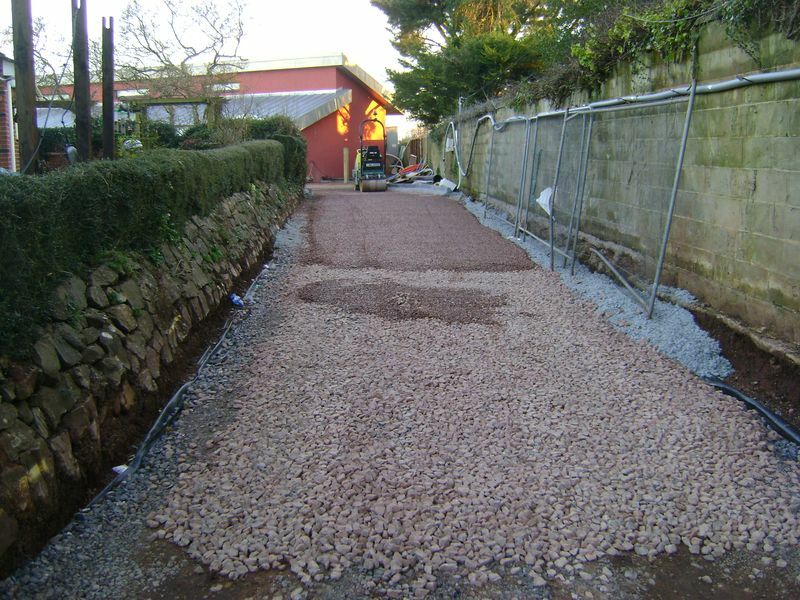 As I mentioned in previous pages, i have broken the large permeable driveway project into two sections, the second part of the permeable driveway near Tiverton commences. 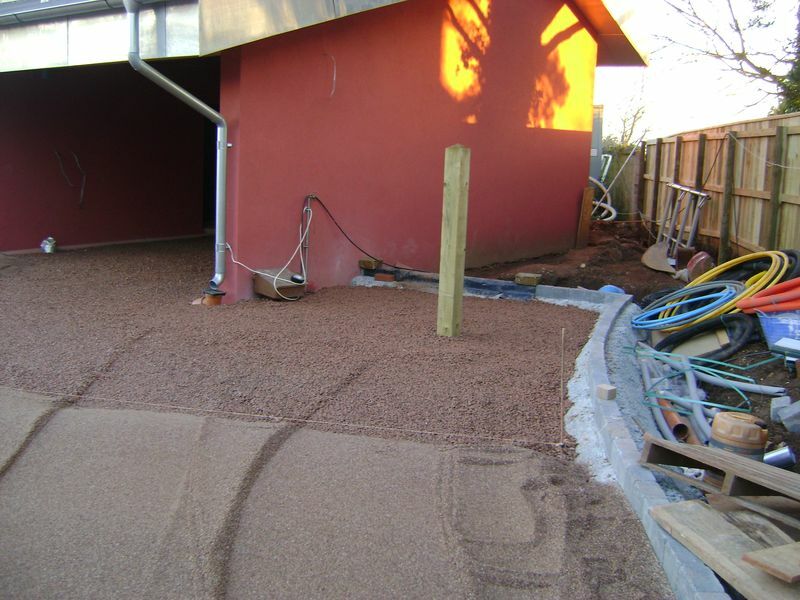 The same permeable installation applies to part two, 40mm clean stone from sub grade to the start of the 200mm sub base. THIS PROJECT IS ON GOING, PLEASE RETURN SOON TO VIEW DAILY PROGRESS.